Welcome to Clarion Productions! Like the Coltrane quotation above, Clarion Productions strives to convey artists' music to the listener in a seamless and transparent manner. Recordings, mixes, and masters are handled with the highest level of respect for the musician's intentions. Contact us to find out how Clarion Productions can help deliver your music to listeners how you want it to be heard. With acoustics in mind, we have created an incredible sounding critical listening and tracking environment. Your music is the primary focus when you're here. A refined workflow and considerable experience yield a hassle- and distraction-free session designed to optimize your time in studio. During your session, you will experience the warmth and hospitality offered by this unique setting. Alan (Clarion) brings a high level of professionalism to every session and offers expert guidance to maximize your recordings. My goal is to always deliver professional sounding recordings at a fraction of the price of commercial recording studios. Alan, the owner and engineer at Clarion Productions, brings a large breadth of musical experience to the control room. As an engineer, his experience has included a wide range of projects spanning styles from from jazz and funk to hip-hop. This breadth and depth brings broad perspective to both tracking and mixing. 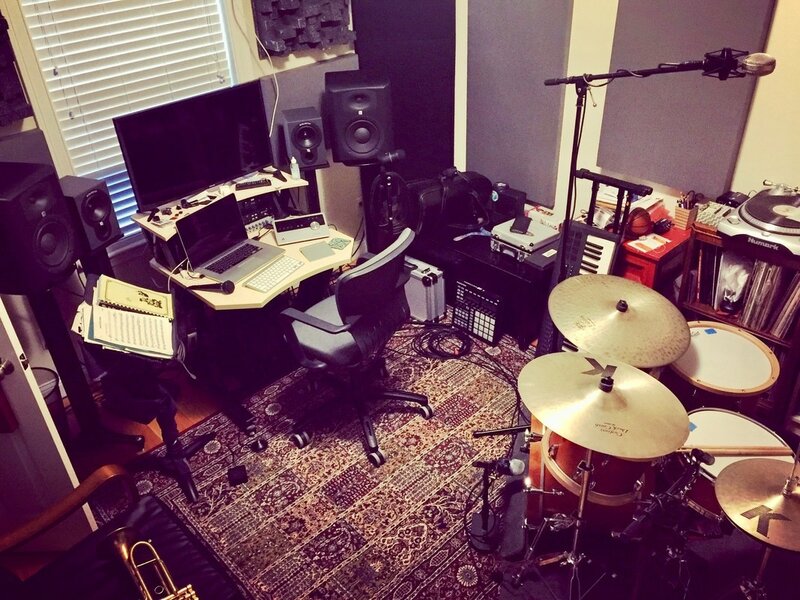 As a musician, Alan plays trumpet and drums, while also dabbling on keyboards. He has played trumpet in jazz and latin bands and in an instrumental funk fusion/hip-hop group. Alan has also created the in-house library of hip-hop and R&B tracks, which is constantly growing. Somerville, MA is a wonderful place to live. Every spring, the city opens its arms for an afternoon of live music. Clarion Productions proudly hosts a show every year in which we feature some of the wonderful musicians associated with the studio. More information on Porchfest can be found here.